Singha Premiership Rugby 7s player of the tournament Josh Bassett credited team spirit for the success in the tournament which saw them win the title for the second consecutive year. Dan Robson got Wasps off the mark with an early try in the final against Newcastle at Franklin Gardens but Adam Radwan and Cameron Cowell replied back with a try of their own to claim the lead for Falcons before Christian Wade's try helped the Ricoh Arena outfit reclaim the lead once again. 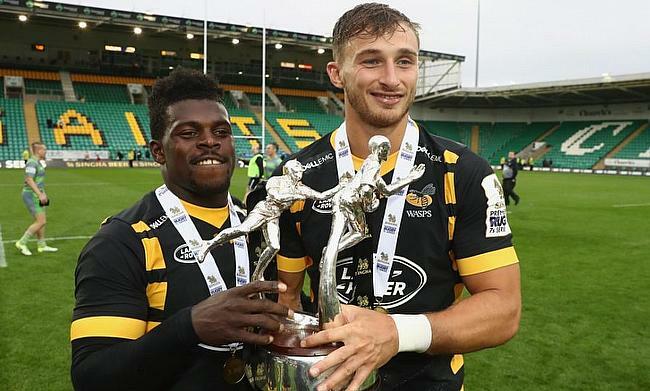 Bassett and Gabiriele Lovobalavu scored further tries for Wasps as they completed a 31-12 victory with the 25-year-old named player of the tournament for going past the line seven times in the tournament overall. “It’s great to get the award but that’s not what it’s about. It’s about us winning and performing as a team,” the 25-year-old said. “We said over these last few days that it was going to be about work-rate for us. “We’ve got some strong names there. Marcus Watson played 7s for a good number of years, Christian Wade, Dan Robson, Craig Hampson – you could go on. “We knew that, with this new format, it was going to be a lot tougher with the two days but fair play to the boys; they did it in rain and sunshine and we’ve come out on top,” he added. “It’s absolutely amazing – obviously, second year in a row. You’ve seen in the last three years how much Wasps love this competition.